This architectural, sound-absorbing wall brings blank walls back to life. 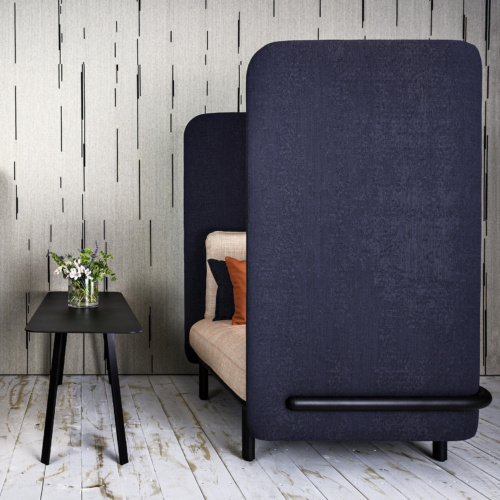 Made of multiple layers of sound-absorbing BuzziFelt in monochrome colors, this easy-to-install solution reduces high-frequency tones, while creating visual interest with its tactile, linear pattern. The versatile surface can also serve as a bulletin board to pin up memos, notes, photos and inspiration.